It happens. You put too much oil in the car. 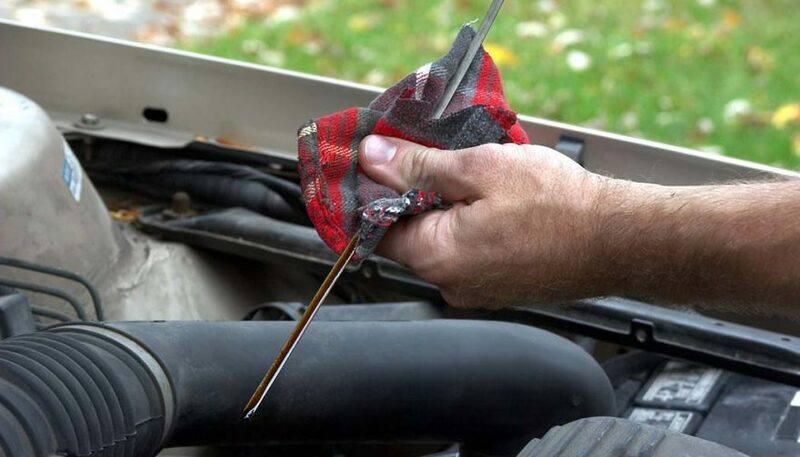 It doesn’t matter why your engine has too much oil, but you have to do something about it. And quickly. 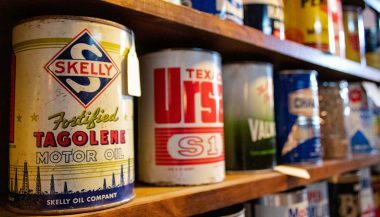 Usually excess oil won’t be a big problem, so long as you’re using the right type of oil. But when it comes to too much oil in the car engine, it is definitely a bad thing. So what happens if you put an extra quart of oil in your engine. Or for that matter, if you somehow put an extra two or three quarts in there? How serious is the problem and what should you do about it? Oil will turn into foam, and foam can’t build up oil pressure. The spinning crankshaft will dip into the high level of oil resting in the oil pan, and whip it to a frenzy just like a blender making your favorite daiquiris. Same principle here, except it will happen inside your very expensive engine. Engine oil does contain some anti-foaming additives, but that is only adequate for normal operating conditions. In fact, high performance engines have windage trays to divert the oil that the crankshaft slings off, so it doesn’t form a rotating mass around the crankshaft and start foaming. Either way, a crankcase filled with whipped foam won’t supply the critical oil pressure needed to protect expensive engine parts. The excess oil must be removed. Sorry. OK, so maybe you didn’t over fill the engine by two or three quarts. Maybe you just added one quart too many. The spinning crankshaft will not dip so deeply into the ocean of oil inside the oil pan, but it will still sling all that oil around. That slinging will create a lot of extra oil mist inside the engine, oil mist that will want to escape any way it can. Usually it forces itself out of the engine past gaskets and seals, then drips on the hot exhaust system and ignites. After all, oil is a combustible fluid. When you smell the burning vapor you will instantly remember those worst-case stories you friends warned you about when you asked them about putting too much oil in your car. If you are lucky, you won’t have a fire. But you will see oil drops, a lot of them, on your driveway. Then everybody will know that you did something wrong. Yes, peer pressure can be a good motivation to fix your car right. What else could that foam and oil mist do that you wouldn’t like? It will ruin the very expensive emissions components in your car. Engine crankcases tend to build up pressure in normal use, which comes from blow-by past the piston rings. Until the mid-1960’s car engines had a breather mechanism that let the excess pressure, oil mist and the toxic contaminants from combustion vent easily into the atmosphere. You see the point, it caused air pollution. Enter the EPA. 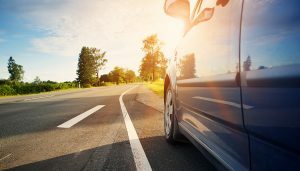 Now cars are required by law to have closed systems to capture the crankcase pressure and route it (and the oil mist and the toxic combustion contaminants) back into the intake tract of the engine. The hopes are that a normally operating engine will simply burn all that bad stuff along with the gasoline and air during the combustion process. The parts that route the oil mist and contaminants back into the intake tract are collectively called the Positive Crankcase Ventilation system, or PCV for short. Things always sound more impressive when they have acronyms for names. If you’ve ever replaced the PCV valve on your car, that was the system you were working on. But with too much oil foaming and misting around inside your engine, and the PCV system sending it into the combustion chambers, bad things will happen. Cars are designed to burn gasoline, not oil. Oil doesn’t burn cleanly in a gasoline engine. It forms thick soot which goes right into the exhaust system. That thick soot will coat the primary oxygen sensors in the exhaust manifolds and the secondary oxygen sensors that fit behind the catalytic converter. All those expensive sensors will be ruined by the soot. Likewise, the soot will ruin the delicate elements within your catalytic converter, which are called “noble metals,” meaning, among other things, that they are expensive. The catalytic converter costs a lot more to replace than a few quarts of oil. OK, so now we understand that it’s not good to leave an extra quart of oil inside your engine. And that it’s definitely not safe to leave two or three extra quarts in there. But it’s easy to get the oil out. You’ll want to clean your drain pan really well. Then drain all your engine oil into your newly cleaned drain pan. You can drain your engine oil, right? 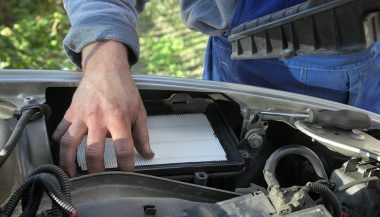 It is one of the most basic car maintenance projects. Drain your engine oil into your newly cleaned drain pan. Then it’s best to pour engine oil into something more manageable before trying to pour the correct amount of oil into the engine. It would be difficult to pour the oil out into the engine from the drain pan. That’s a good reason to always buy your engine oil by the gallon jug. Use the big funnel to empty the drain pan back into the gallon jug. Then refill your engine with the correct about of oil from the jug. Run it a minute, then let it sit still another minute, then read the level on the dipstick. Another crisis averted.